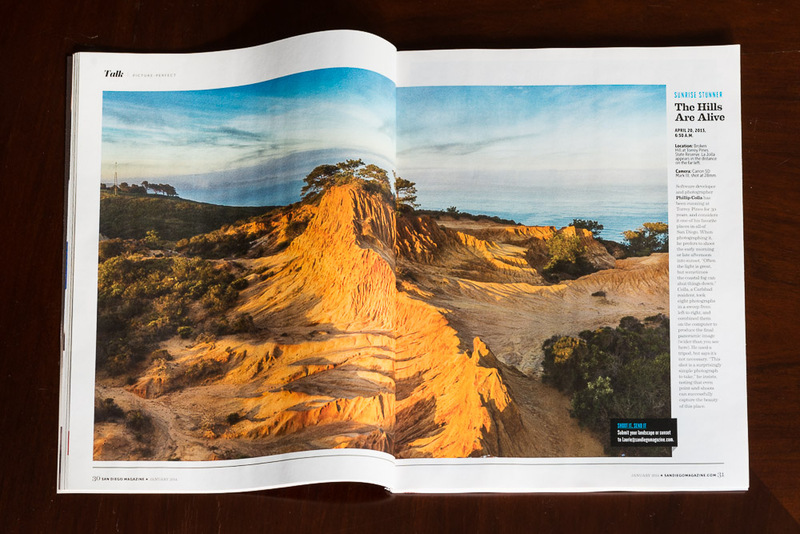 One of my favorite shots from 2013 was featured as a nice-looking spread in the January issue of San Diego Magazine: Torrey Pines State Reserve’s famous “Broken Hill” at sunrise, with La Jolla and the Pacific in the background. (Here is a link to the full-width pano: Torrey Pines Broken Hill panoramic photo.) I had a cover for San Diego Magazine a couple years ago, but this is the first interior full page image I have had with them. Thanks San Diego Magazine!